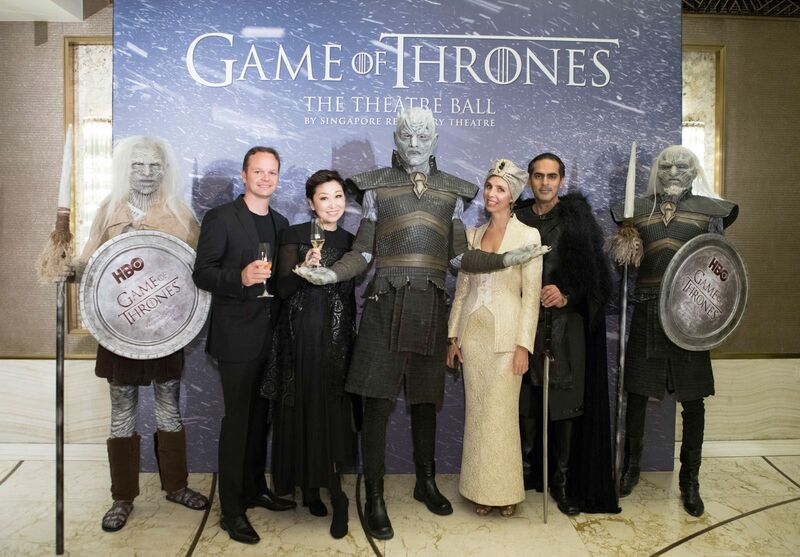 Winter may be coming to Westeros, but in Singapore, winter already arrived last weekend at The Theatre Ball. An annual celebration in aid of the Singapore Repertory Theatre (SRT), the 26th edition of the ball also served as an official event ahead of the final season of HBO’s phenomenal show, Game of Thrones (premiering 14 April). From Cersei Lannister and Daenerys Targaryen to Jon Snow, guests arrived in their Game of Thrones best—one even brought their pet Labrador to act as a direwolf—and were ushered into the Capitol Theatre, which was marvellously transformed by Olga Iserlis’ Adagio Events into a scene that channelled grand revelry in King's Landing. Artistic Director Gaurav Kripalani was the master of ceremony and urged supporters to bid on unique lots including exclusive experiences in London, Edinburgh and New York led by Kripalani himself. His call was heeded by guests, as they feasted, drank and danced in the most creative—and enjoyable—charity balls in Singapore.